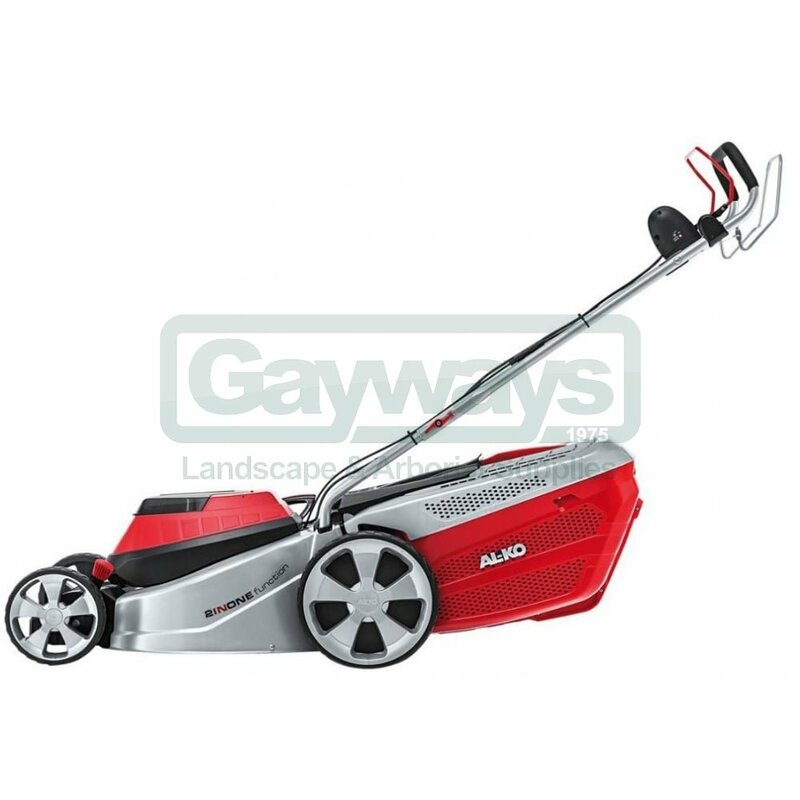 The AL-KO 46.5 Li SP Moweo is a powerful self propelled Li-Ion battery powered lawn mower with a 46cm (18") cutting width and large 70l grass collector. 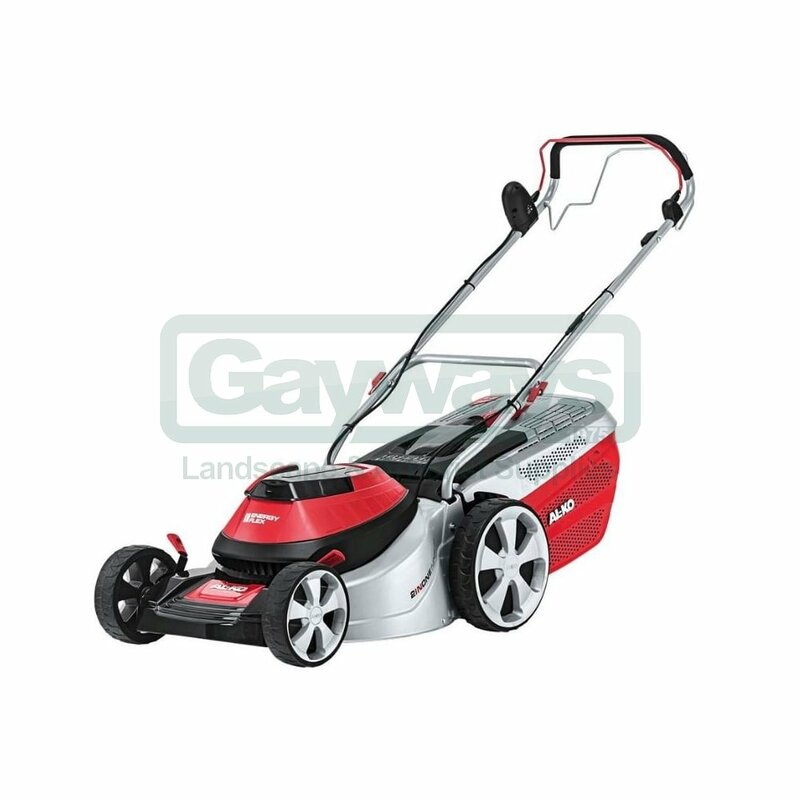 There is no need for storing petrol or for trialing cables as the mower is powered by a 36V 4Ah Li-Ion battery which has a quick charging time of 1.5 hours. Supplied with 2 batteries and a charger. 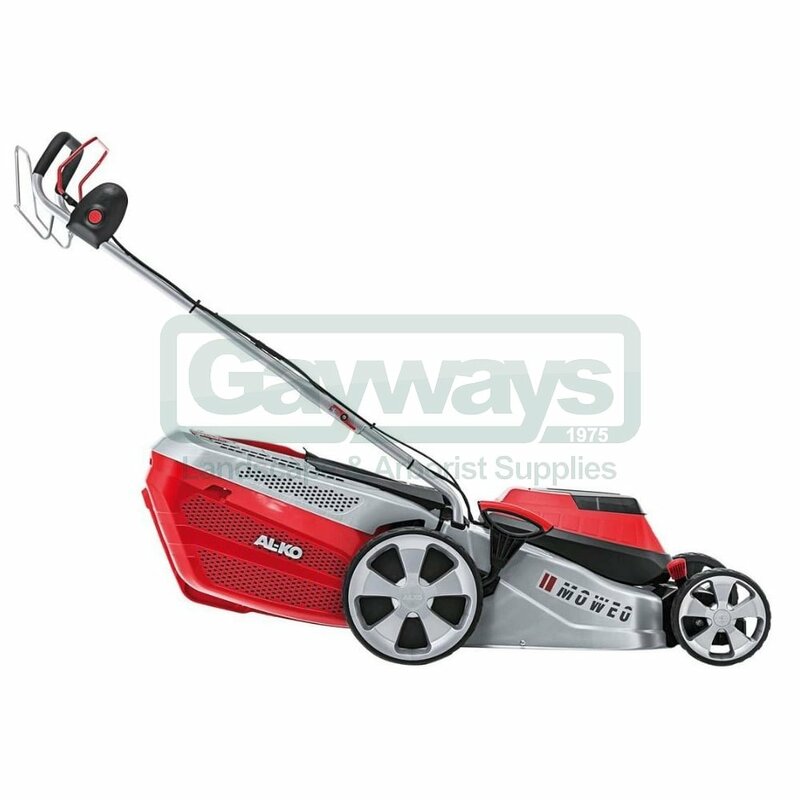 The lithium-ion battery delivers impressive performance and is extraordinarly durable. in addition there is no spontaneous discharge or memory effect so the battery can be recharged at any time. 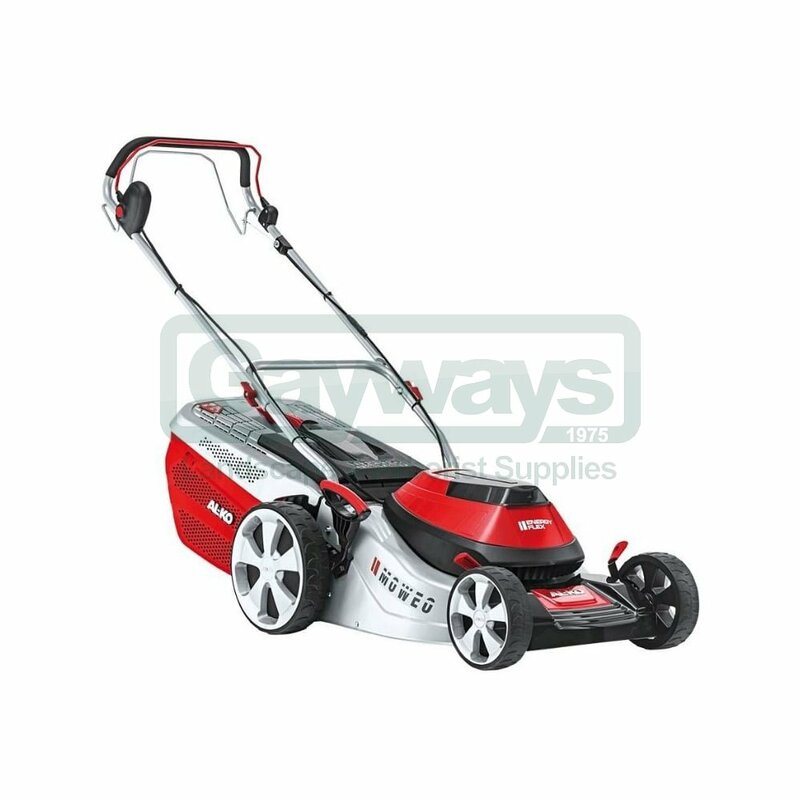 A second battery is recommended for larger lawns.